Jamcracker's cloud management platform enables Microsoft CSP partners to roll out Microsoft Cloud Services to their customers in just a few hours. Trust Jamcracker's flagship platform to do the heavy lifting of integrating and managing the complete lifecycle of all Microsoft Cloud Services that includes everything from order to cash. Enable your end users to avail Office 365 umbrella of Microsoft’s suite of productivity applications as cloud service subscription. 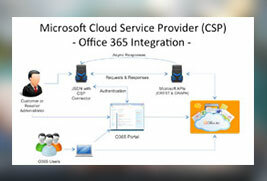 Use existing Microsoft Identity Platform such as Active Directory or Active Directory Federation Services (ADFS) to onboard new and existing users to access Office 365 cloud services through Jamcracker Platform. 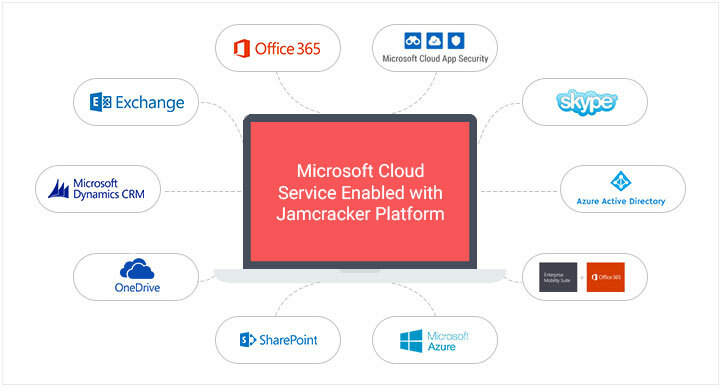 Jamcracker's award winning cloud brokerage and management platform enables Microsoft CSP partners to readily offer branded private marketplaces to their customers enabling IT as a Service Transformation (ITaaS). Using Multi-tiered and Multi tenant Marketplace, Services Catalog and a self-service portal, IT end users can instantly consume cloud services. 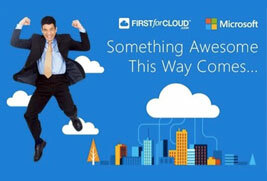 Partner can manage all aspects Microsoft Cloud Services access control, ordering workflows, consolidated invoicing, settlement of Microsoft Cloud Services payments to Microsoft, etc. through Jamcracker Platform.